Those interested in jailbreaking might be interested to learn that the team behind the PP Jailbreak reportedly released the iOS 8.3 untethered jailbreak first before TaiG. However, the team from TaiG claim that the PP Jailbreak team copied their tool. Regardless of who did it first, it is evident that each tool is made from a very similar — if not the same — exploit, since both tools originally released for iOS 8.3 software and have quickly been updated to work with iOS 8.4 software within hours of Apple releasing iOS 8.4. 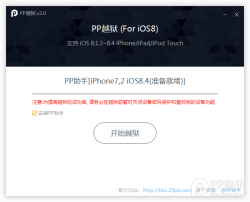 If you are facing an abundance of bugs with TaiG, or just don’t want to use it for any other reason, you can now download PP Jailbreak for iOS 8.4 and use that tool instead. 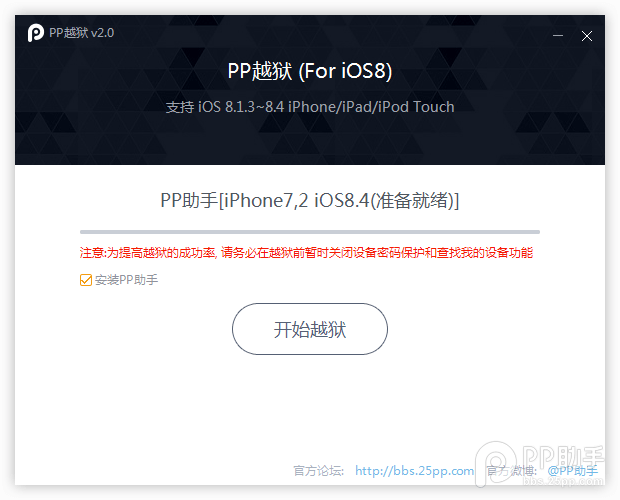 You can download PP jailbreak for iOS 8.4 from here . If you aren’t an advanced iOS user and you don’t usually jailbreak the iPhone, iPad and iPod touch, we recommend using the TaiG tool instead since it’s more popular. You’ll find it a great deal easier finding common solutions to TaiG problems with error codes using the same tool as the masses are using.